The most common pests that lurk around storage units are rodents. Mice and rats find ways into your storage unit through the tiniest crevices in search of a place to nest. Rodents chew through storage boxes and nibble and gnaw at furniture, clothing, plastic items and electronics. Rodent feces are another issue that accompany their presence. A mouse generally produces 40 to 100 droppings per day, which can infect and soil your personal items. To detect a rodent infestation, look for signs of gnaw marks, nests and tracks. If you have dogs or cats, have them accompany you to your unit, as they are excellent pest detectors. The best way to treat an infestation is through a thorough cleaning of your unit.â€Š Remove any food items or products that can be used for nesting, â€Šand take preventative measures with mouse traps. Termites can cause irreparable damage to your personal items. They can be found in moist climates, andâ€Š they are particularly drawn to areas of standing water. Signs of a termite infestation include small holes in wood, crumbled drywall, insect wings and small shelter tubes. To prevent a termite infestation in your storage unit, eliminate anything that may leak or create a moist, termite-friendly environment. Ensure that your lumber is chemically treated with pesticides, and spray liquid termiticide around the foundation of your unit. 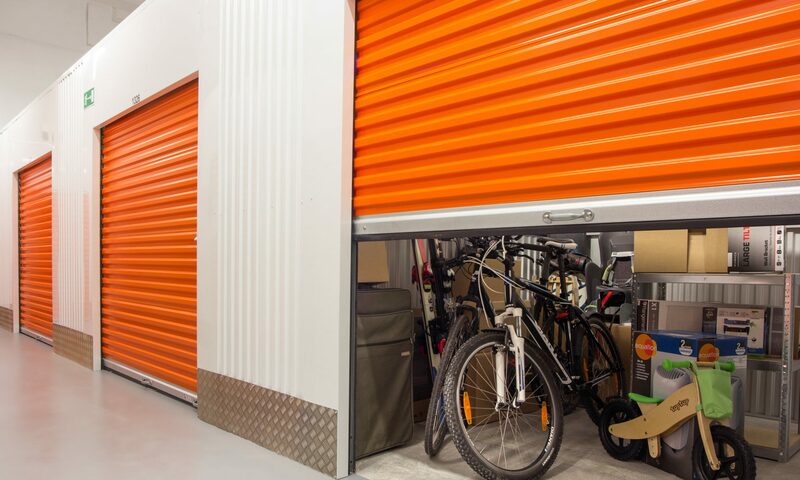 Regularly inspect your storage unit for these signs and schedule bi-yearly professional checkups to keep your belongings safe from these hazardous pests. Moths can be difficult to detect, as they are drawn to darkness and can easily elude your meticulous search for pests. Adult moths do not cause harm to your clothes, but rather their larvae feed on fabric, leaving your clothing and textiles peppered with holes. The best strategy for moth prevention is cleanliness. Vacuum any fabric itemsâ€Š, including, rugs, couches, chairs and tapestries,â€Š before you place them into storage. Wash or dry clean your worn garments because the pests are drawn to any remnants of body odor or food that may be on the clothing. It is best to store your items in plastic bags or containersâ€Š. Then,â€Š add a lavender satchel with the contained clothing, as lavender oil carries a chemical that is a natural repellent. Cockroaches are dirty pests that can spread a range of diseases through the bacteria they carry, including salmonella, staphylococcus, streptococcus and the polio virus. One of the only signs of a roach infestation is when you see the pest. To keep the cockroaches away, make sure your items are incredibly clean before you store them. Have your furniture professionally steamed and cleaned to remove any stains or food debris. Clean any appliances that may have come into contact with food. Additionally, thoroughly sweep and clean the empty storage unit, and fill any cracks with Combat gel.